We love this sweet winter scene complete with a gingerbread house, holiday trees and an adorable bird on skates. The hearts floating from the chimney complement the sentiment beautifully and help to bring the entire card design together. A great design that brings the amazing inked background onto the main panel as well as behind. It creates an eye catching look that puts the focus on the cute puppy and sentiment and really portrays a holiday feeling. 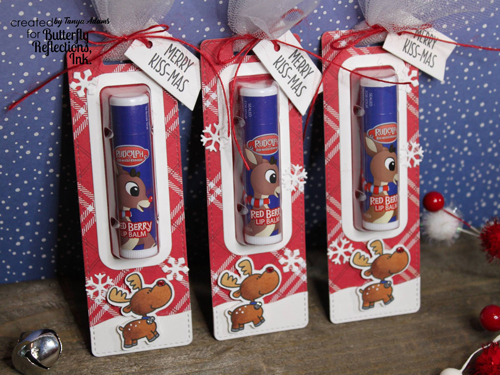 How cute are these lip balm tags complete with Rudolph lip balm treats? A fabulous design with coordinating colors make these the perfect holiday gifts. It's always so much fun to see fun and unique card designs and this one definitely caught our attention. 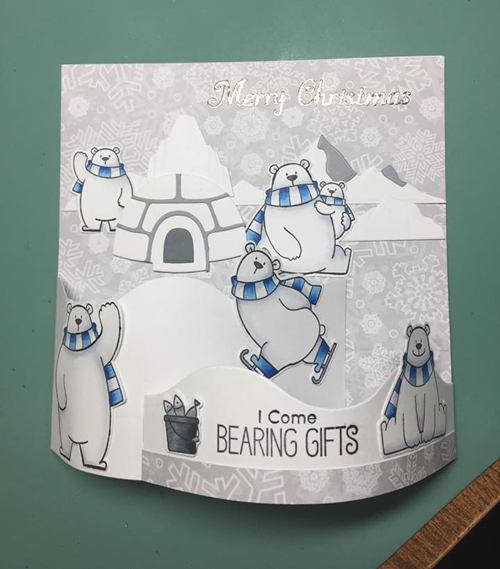 We love all of the sweet polar bears in the this winter wonderland with the added dimension and detail in the overall design. 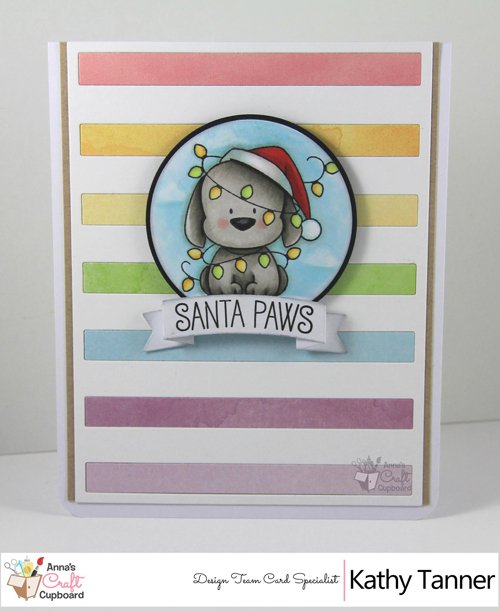 A colorful striped background is a great choice for the foundation of Kathy's holiday card. Keeping the coloring on the puppy simple with shades of gray help keep the focus on all of the happy color. Oh wow i feel so honored! Thanks for picking my design! This made my day! Thanks so much, I am honored to be included with these amazing, talented ladies!